The programme for Scandinavian Developer Conference has just been published. I think we have a fantastic line up of speakers this year. I am particularly pleased Michael Feathers, Brian Marick and Diana Larsen have agreed to join us, and that this year my husband Geoff is also a speaker. I have met Michael and Diana at many XP conferences over the years, but I missed Brian Marick the one time I was at the agile conference in North America, so I’m particularly interested to hear what he has to say. He has been very influential in the testing community, and invented the idea of testing quadrants, which I think is a very helpful way of thinking about testing. Michael Feathers is known for his book “Working Effectively with Legacy Code”, which I reviewed early drafts of back in like 2004. He and I also competed together in “Programming with the Stars” at agile2008. Michael works for Object Mentor, coaching teams in all things agile. 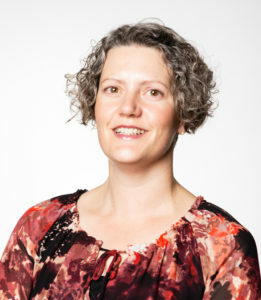 Diana Larsen is chairman of the agile alliance, and has written a book about retrospectives together with Esther Derby. I think I first met her at XP2005, when I attended her tutorial, which I remember as outstanding. It was very interactive and all about communication skills and teambuilding. Her job seems to be all about teaching the people skills needed for agile to work. I’m also very pleased that I’m going to be speaking again this year, after the success of my previous presentation on “clean code“. This year I hope to talk about agile testing and how best to approach it. One of the reasons I keep going back to the XP conference is the amount of interaction and discussion generated by the many workshops and open space sessions. There are very few straight talks, and all are either presentations of academic papers, or keynotes. When I saw the proposed programme for SDC a couple of weeks ago, I felt it was lacking something. Eight parallel tracks of presentations is all very well, but where is the interaction, the whole reason to go to a conference and not just watch presentations on infoq? So I proposed a ninth “track”, devoted to discussion, called “conversation corner“. Luckily my colleagues at iptor, who are organizing the conference, liked my idea. To get the conversations going, I am organizing four “fishbowl” style discussions, seeded by conference speakers. I’ve picked topics that interest me, and invited other conference speakers, who I think are also interested in these topics, to join me. I am hoping that after participating in one or two of my fishbowls, some conference attendees might feel comfortable proposing discussions of their own. To that end there will be a board with timeslots and index cards, so people can write up their topic, assign it to an empty timeslot, and hence invite more people to join them. It won’t be full blown open space, there will be no opening meeting with everyone, or two minute pitches proposing sessions. I won’t be explaining the law of two feet or the open space rules. But it is a step in that direction, and I hope a complement to the organized speeches going on in the rest of the conference. Perhaps you’d like to join us at the conference? Register here. This entry was posted by Emily Bache on 2009-12-04 at 18:34 under Conference information. Both comments and pings are currently closed.